Published December 14, 2015 By Leisa Good This post may contain affiliate links. Regardless, I only recommend sites I've researched and/or used and trust. 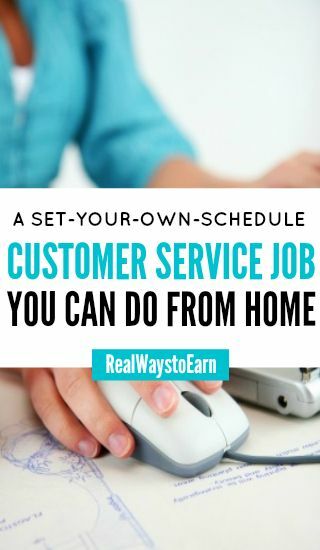 Do you need a flexible work-at-home job where you set your own hours? Do you enjoy people and enjoy helping them by products or services? Do you need like the idea of a flexible schedule? Then allow this article to introduce or reintroduce you to one of the largest and best known work-at-home call centers. I am referring to LiveOps. LiveOps was initially founded in California in 2001 as a way to remotely provide telephone and dispatching services to people misplaced by weather-related problems. This was during a time in California's history when floods, mudslides, and power outages had many people stranded and in need of help. Fast forward to 2015, and LiveOps has come a long way since those humble beginnings. With well-known clients such as Pizza Hut, SalesForce, Guess, Abbvie, Fidelity Investments, and many other recognizable companies—LiveOps continues to grow. These new opportunities were created by ten, new big-name clients signing on with LiveOps. Opportunities will exist for those wishing to work from home in sales, roadside assistance, insurance claims, life insurance sales, and healthcare services. This job will be done 100% remotely from your home. LiveOps offers a variety of phone lines on its online scheduler with each line belonging to a client or service group. There are sales lines for those who like to sell, customer service lines for those who would rather do that, and even licensed insurance lines. Many agents work both a variety of sales and customer service lines. While most of the sales lines are 24/7; most of the customer service lines have set hours. There are both inbound and outbound calls available depending upon the line. Opportunities are only available for those eligible to work in the United States. What Are the Requirements to Work at LiveOps? You must pass the online assessment (basic computer, reading, and math) and fill out the application. You must also pass a voice audition via the telephone. You must pass a background check, which will cost you $65, nonrefundable. You must have a landline phone with no call forwarding, voicemail or call waiting. You must have a non-listed phone number for your landline phone. You must have a hardwired computer or laptop. Your PC or laptop must have at least Windows 7 or 8 with antivirus and malware installed. You must have Internet Explorer 11 or the latest version of Firefox; Google Chrome is no longer supported. You must have a noise cancelling headset. You must have a quiet environment to take calls. You must have 1 GB of RAM memory. Once you are accepted and your background check comes back “clean”, you will begin your online certification. It is all done via the computer and is self-paced. Some agents do complete it within two weeks, while others may take up to a month to complete it. Upon completion, you will take your first 15 live calls then be given access to a four-day schedule. Once you have completed 1,000 live calls, you are given the full seven-day schedule. Different lines have different days of the week when hours are posted via the LiveOps scheduler. What is the Pay Like at LiveOps? The pay at LiveOps is .25 per minute of talk time. So as long as you are talking during that 30 minute slot, you are making money. You are only talking when calls are routed for you. For example, say you talk 20 minutes out of 30 minutes, and then you are paid for 20 minutes times .25 a minute. If you want to make $50 a day, then you will need to rack up 200 minutes during however many shifts it takes to rack that up. On the general sales line, you can also work “off the clock” if there are no hours on the schedule to book. Some of the lines only pay .20 per talk time and some of the elite sales lines also offer POPs or Per Order Payment. The POPs can add an extra $1 to $4 each time you sell that product. While some agents struggle to make money, some claim to make $3,000 to $4,000 a month. Any training or conference calls you do are unpaid, and this is an independent contractor position. Payday is the 1st and 16th of every month unless it falls on a weekend or holiday. Then it is the following business day. Paper checks and direct deposits are how pay is distributed. What Are Some of the Pros and Cons of Working at LiveOps? What Do Others Say About LiveOps? Opinions are as varied as the products and clients that LiveOps has. While some agents absolutely love it and have been there for many years, others do not like it. How Can Interested Individuals Apply to LiveOps? Go on their website and get the application process started today. Hey. What is the name of the company that LiveOps partners with that has the insurance claims position? I wanna apply for that in addition to the pizza order taking one – thinking that’s the Pizza Hut client in their database. Because I am presuming the insurance claim position is script work and I like scripted positions. Thanks. Has Liveops re-opened hiring in Wisconsin?